In a move to offer delegates a cost-effective, high quality and eco-friendly alternative to bottled mineral water, Cloth Hall Court by Well Met has invested in a Vero Water on-site purified drinking water system in the brand new dedicated conference venue. 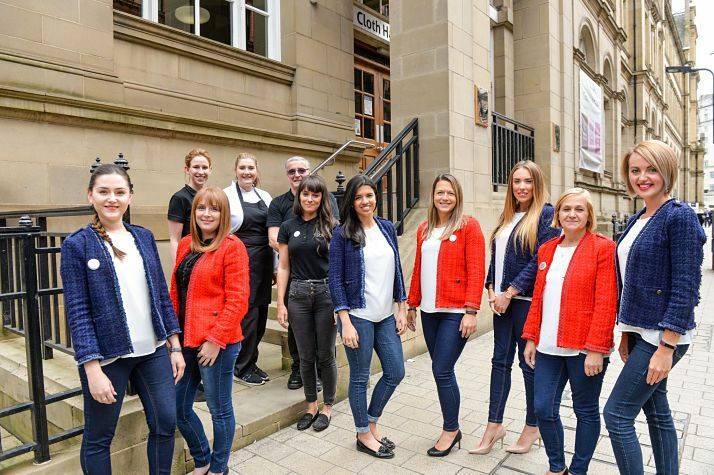 Cloth Hall Court has undergone a £4.5m refurbishment to transform it into a state-of-the-art facility in the heart of Leeds, with 10 distinctive rooms across four floors, hosting conferences, meetings and events from 2 up to 300 delegates. Richard Mangan, Resource Officer at Leeds Beckett University, explains why they chose the Vero Water system for Cloth Hall Court. 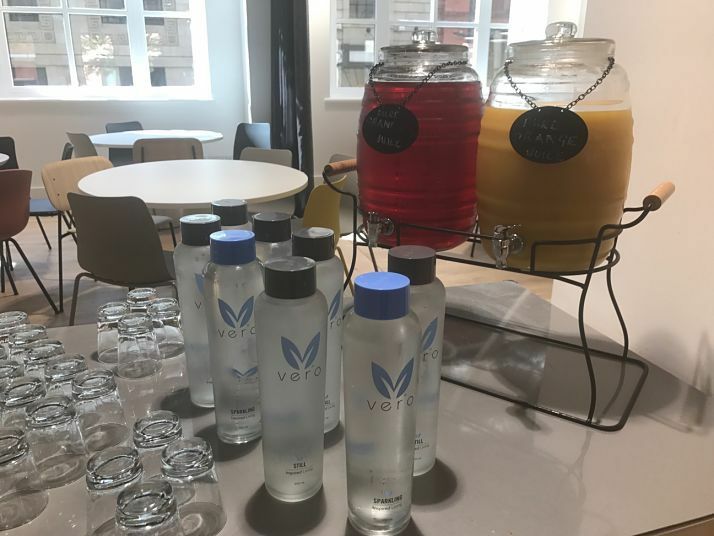 “We compared a number of drinking water machines on the market and Vero proved to be the best choice for us in terms of quality, cost savings and a practically zero waste alternative to buying in expensive pre-bottled water. “We were very impressed by the quality of the water from the Vero machine, it has a crisp refreshing taste that is just as good as any branded bottled water. The system connects directly to the mains water supply and we very much liked the re-usable and machine-washable Vero glass bottles. Their design stood out as something unique on the market and they are very much in keeping with our stylish new venue. “From an environmental standpoint, the Vero system means we don’t have to send thousands of plastic bottles for recycling every year, which also slashes our waste management costs. “The overall cost savings of the Vero machine against buying in pre-bottled water are considerable. Last year the University purchased just over 7,800 1.5ltr bottles of water for its hospitality operation across all sites, totalling just over £2,800. Cloth Hall Court has only just opened, but we estimate that by installing a Vero machine there we will save around £900 a year. Ian Baragwanath, Vero Water UK managing director, says: “We are delighted that Leeds Beckett has invested in one of our machines. Vero systems make sound financial and environmental sense, because they offer a simple way for venues to be self sufficient without having to compromise on quality. Cloth Hall Court manager, Kelly Allen, is delighted with how the Vero system is performing: “The machine is easy to use and extremely flexible, providing ambient, chilled still and sparkling water. This has proved popular with our delegates who are all very pleased with the choice and quality. “The conference centre can host up to 300 guests at a time, and the high capacity and reliability of the Vero system means we can comfortably cater for their needs. Vero provides us with very attractive branded bottles, which we simply refill from the machine for conference tables. This means we don’t have the logistical challenge of having to accommodate numerous bottled water deliveries.